Alexa is a traffic data and global ranking provider. It provides the ranking data for millions of websites. Alexa collects traffic data on daily basis from millions of websites using Alexa toolbar and other sources. In simple terms, Alexa ranks a website on the basis of its traffic, compared with all other websites on the internet. According to Alexa website, it provides traffic data, global ranking and other information on 30 million websites and as of 2015, Alexa.com is visited by over 6.5 million people monthly. 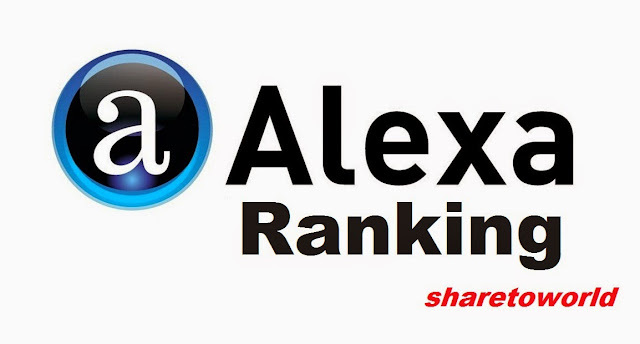 If you want to add an Alexa Rank Check widget to your website. Don't worry, it's just simple, in this tutorial, we're going to share that How to Create and Add Alexa Rank Widget to your website. How to Create and Add Alexa Widget to Website. 3- Now Copy the following code and paste it in the empty widget box. Note :- All the widgets have slight change in code. You have to change site name from “sharetoworld.com” to “yoursitename”.